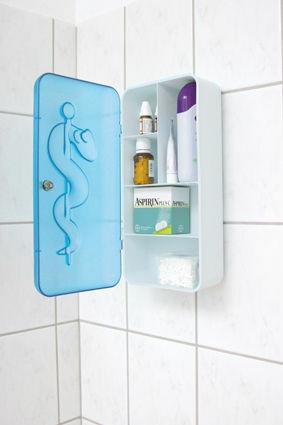 This bathroom/medicine cabinet has five compartments allowing you to store and organize all your products. 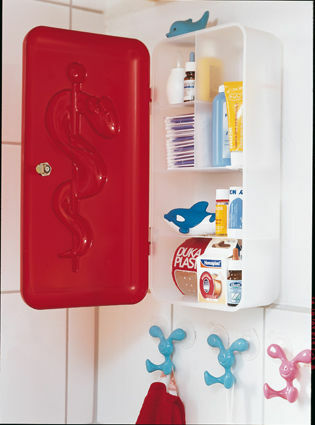 The shelves have various levels so that you can put away all different size items. 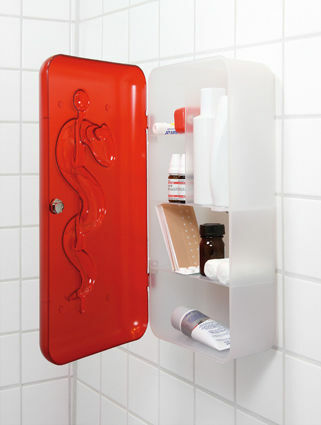 For the safety of the children, the cupboard can be locked. 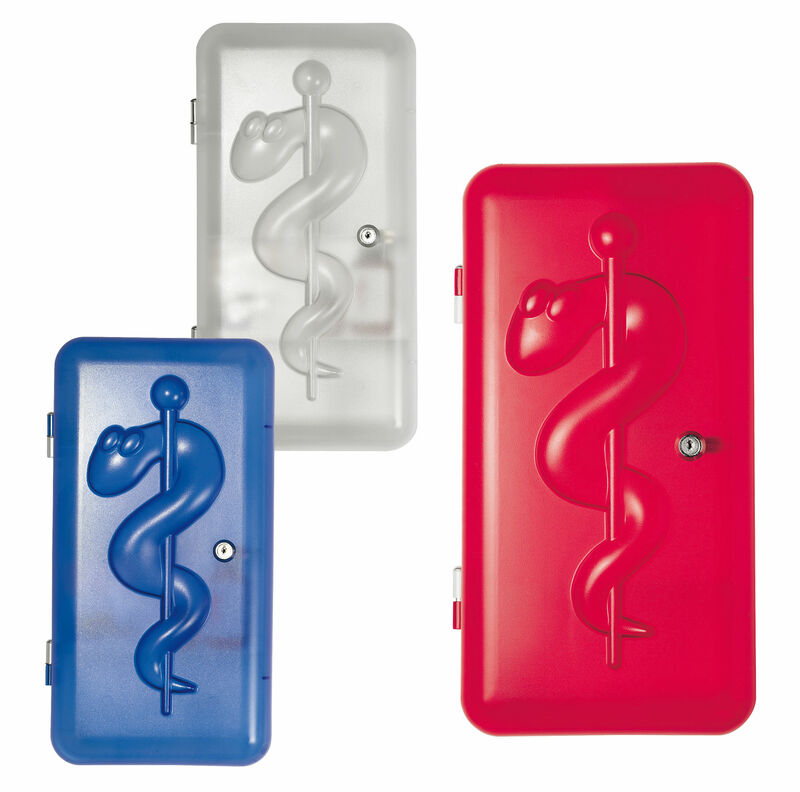 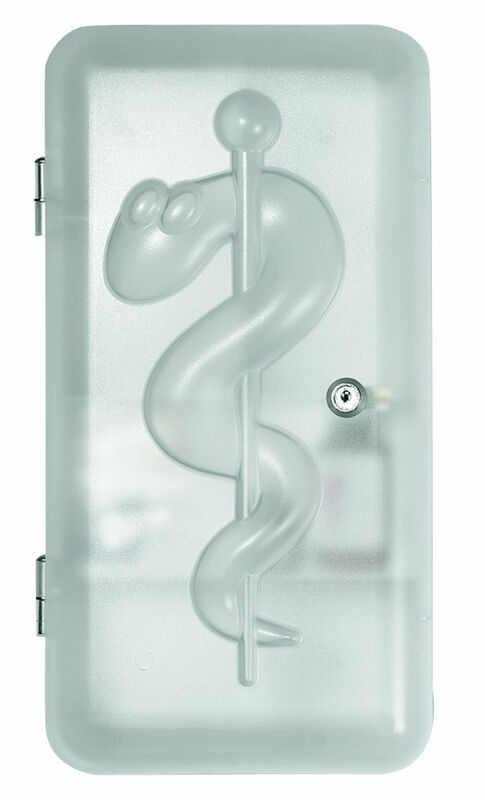 The door is decorated with the Caduceus: the official emblem of pharmacists.